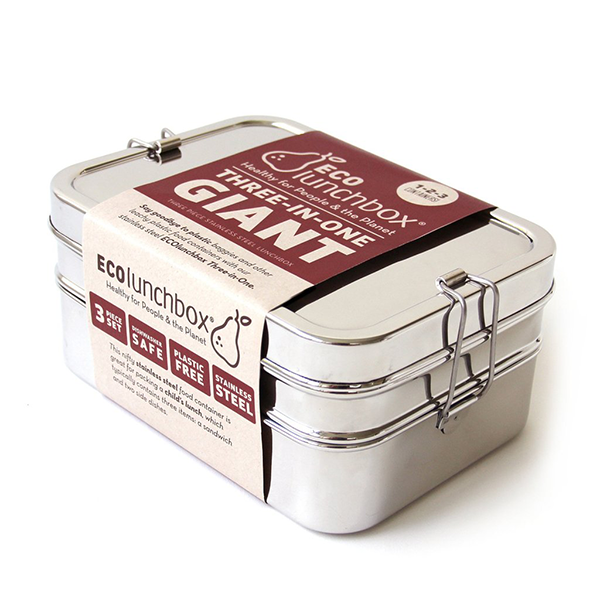 ECOlunchbox Three-in-One Giant is designed to handle generous portion sizes, and holds an impressive 8 cups of food in three separate food containers that nest and clip together. 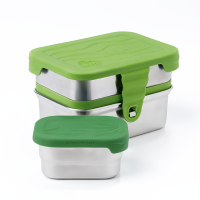 It's twice the size of its smaller cousin, the regular-size ECOlunchbox Three-in-One Classic, which holds 4 cups of food. 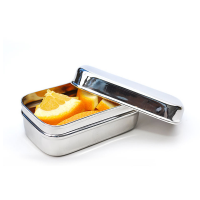 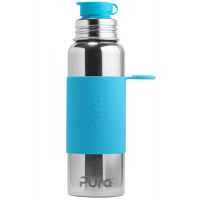 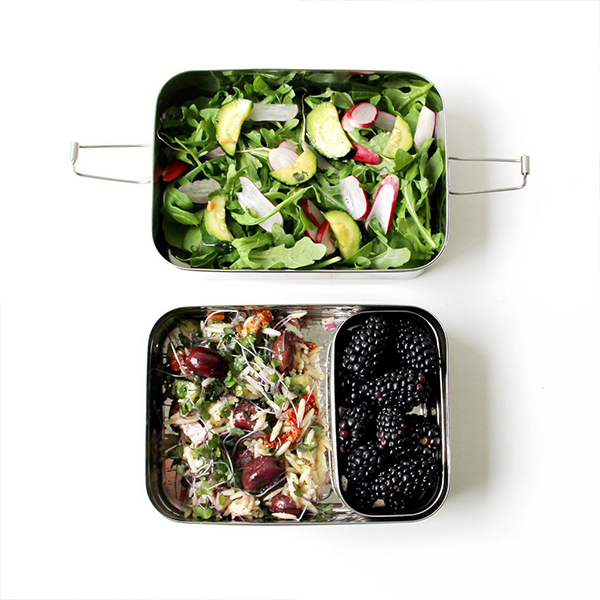 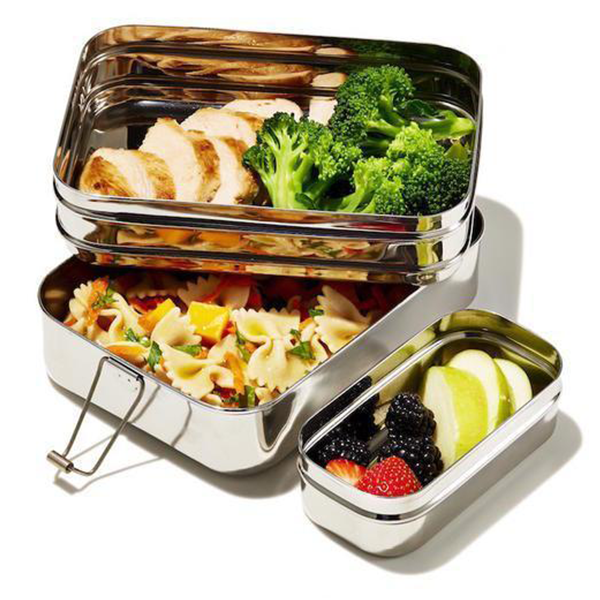 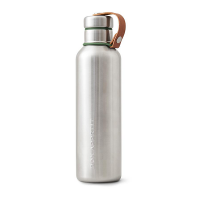 Planet-friendly and non-toxic, this 100% stainless steel lunchbox is tough and durable and designed to last for years, plus it is easy to clean and won't stain or hold odours. 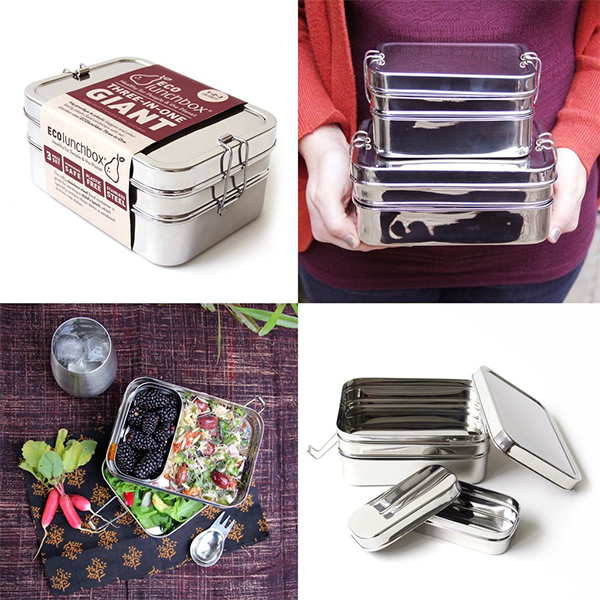 It’s all held together with kid friendly, easy opening and closing clips. 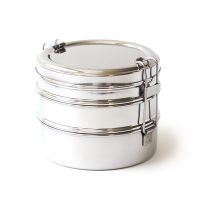 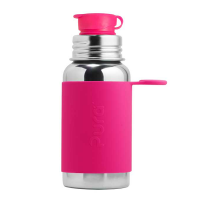 It’s not leak-proof, but if you need to pack something such as dressings or dips, the Seal Cup Mini will nest in the top container.